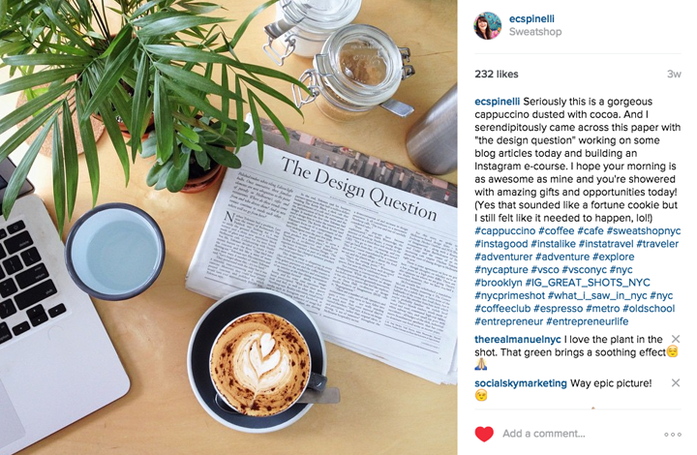 Instagram has been gaining some serious traction in the last few months. Businesses are all heading there, and all the younger eyes and ears are on this platform. Facebook? Nah, it’s all Insta now. I’ve taken the last several months to explore Instagram, understand the native culture and grow my audience. I’ve gone from 10 likes on a photo to 200+ and gained over 1000+ followers in the last month. The secret? It’s organic. I strive to make great content everyday and connect deeply with my followers. After much experimentation, I’ve discovered my very own growth strategy and I am excited to share it! 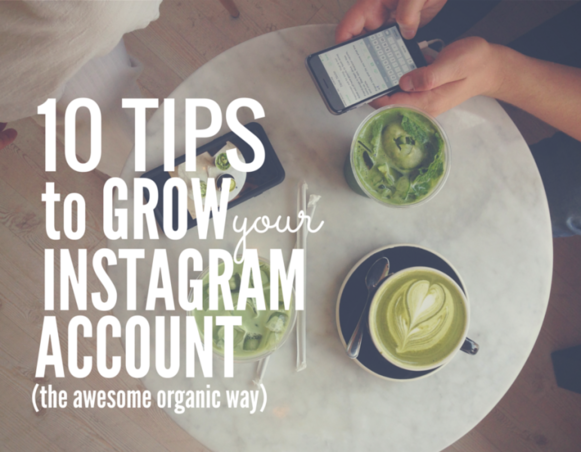 Here are 10 tips to rock your Instagram account. Your bio is the first place where people get to learn about you. Tell what you do, what you love, your passions, projects or dreams. Be sure to add your full name (your real name) and your website too. Quirky phrases and personality are welcome! 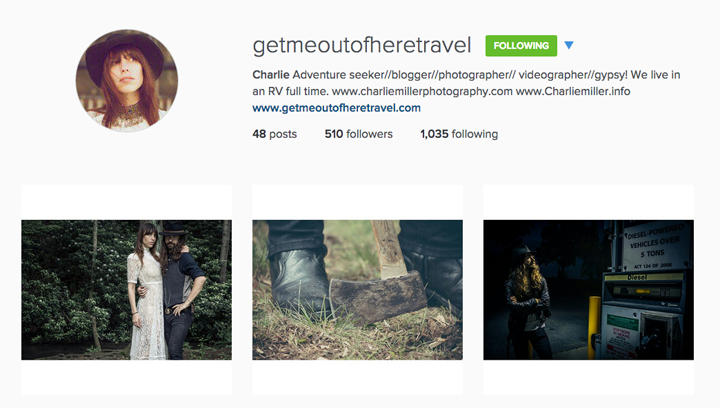 Here’s getmeoutofheretravel as an example of a good bio. Just descriptive enough and a light into the life of Charlie. I can tell you that the small profile pic means more than you would think after spending countless hours on Instagram every day. If your profile looks captivating, colorful and like you’re a cool person, you gain my follow. And if not, I don’t even notice. That’s the culture on Insta. Instagram does have more of a “take it or leave it” mentality. If you don’t “look cool” or interesting, people won’t take interest. What’s the moral of the story? Take a sweet profile shot that’s well lit and showcases your personality. Every Instagram feed is unique and different. There are many patterns of photo styles that will typically do well. Spend some time testing different styles of photographs with your followers and see what works well and what doesn’t. Every audience is a little different, and it’s always worth getting into the platform and testing. Are you curious as to know what photos did well? Look comparatively at the number of likes and quality of comments. The more likes, the more the audience liked the photo. I’ll take this feedback in my account and then create more photos that are similar stylistically to the pics that had loads of likes. Here are some photo ideas that you can include in your feed. Just remember to be creative and expressive! After all, Instagram is a photo blogging platform, so make the photos count! I tested lots of different styles of photos on my Instagram feed to see what my audience liked the best. The photo shown below is one that I took randomly and didn’t know how it would do. Over 200 likes later, I know that it’s a success and use the top-down food shot often now in my gallery. When you are looking to grow your audience and grow your brand, following is a form of mutual respect. The most valuable resource is attention, and by giving attention and respect you get attention and respect from your audience. Follow people back and give the compliment of your attention. When you see a photo or account you like, give favorites and hearts freely. They are compliments. When you see a great photo, send some love. You may be surprised at how much traffic you can receive to your account by giving first in the form of favorites and comments. If you’re small, don’t worry about creating your own hash tags. (most people want to “own” a hashtag) but that’s not what they’re for. The hashtag is in Instagram for people to search and discover other accounts and photos with people of similar interests. You can use popular hash tags to natively have your photographs discovered. If you don’t use hashtags, it’s unlikely that you would be discovered. 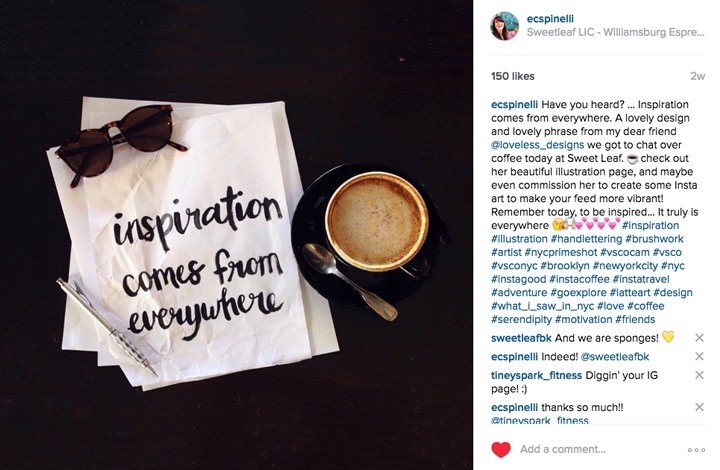 Look up popular tags on Insta and use some relevant ones in your descriptions and comments. When you meet people that are awesome, include them in on your Instagram. I like to create photos that are native to my feed that give shout outs to other Insta-grammers. For example, I will take an illustration that a friend made (@loveless_designs), and include it in a coffee photo shot and give her props and credit and tag her in the photo (showcased below). Instagram is all about providing entertainment value to its audience. Build your feed to natively speak to the audience. 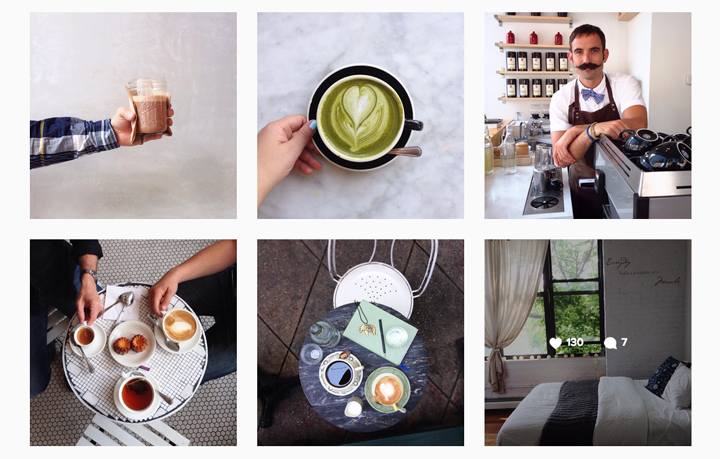 People peruse Instagram to find inspiration, explore travel, food photos and experience lifestyle. Make sure your Instagram communicates a specific lifestyle and even “behind the scenes” of your day-to-day. That may mean leaving some of the business out of your photos if you’re heavy into business. Instagram is a SOCIAL media. That means…be social! I promise that if you get in, talk with your followers and people with similar interests, that you’ll get results. I actually go through and personally thank every follower I receive in my account. As a result, many of them will come back over to my account, comment, like and chat with me! This little act of engaging with my followers build a community, drives more engagement, and website traffic. Explore other galleries and feeds and comment on photos. Give compliments and value to people and accounts that are creating great content. What goes around comes around. Want more comments and engagement in your account? Then give comments and engagement for others. Another bonus is that when you comment, you gain yourself exposure from others that see the post and some of them will come check out your account. Even if you already have a great audience, following or beautiful feed ask yourself: “how can I be better?” or “how can I provide more value?” You can always make more beautiful photos and connect more deeply with your audience. Take the time to make every photo, description and comment better. Connect more often, and more deeply. If you’re striving to be better every day, you’re sure to impress and connect with more people. Looking for more social media resources? I happen to give away a free social media strategy pack for businesses and blogs. Like the article? Have a thought or tip that I didn’t cover? Let me know in the comments!